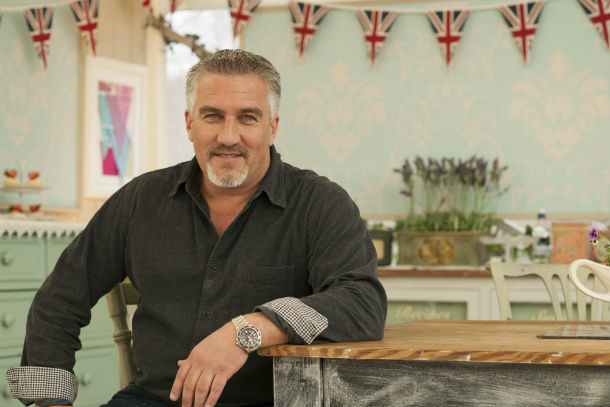 Paul Hollywood has today confirmed that he will remain a judge on The Great British Bake Off for the next three series when the hit show moves to Channel 4. One of the country’s leading artisan bakers, Paul has been a judge on The Great British Bake Off since the first series in 2010. Paul Hollywood said: “Since I was a kid, baking has been part of my life. The seven series inside the tent have created some great memories. Best of all, I have felt so pleased to experience other people getting the baking bug, just as I did when my dad helped me make my first loaf. “The Great British Bake Off has brought baking to the nation and we’ve seen people from all walks of life and backgrounds, experience the highs and lows of competition, and more importantly helping each other. It’s been a huge part of my life in the past few years and I just couldn’t turn my back on all that – the bakers themselves, the bakes, the team that makes it, and of course the tent, the bunting, and who could forget… the squirrels.